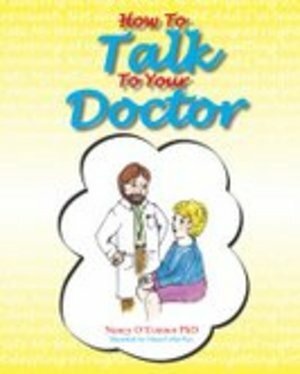 How To Talk To Your Doctor is a simple little book designed to explain and encourage better communication between patient and doctors or therapists. It prompts patients to take charge of their health and healthcare. Written in a light-hearted cartoon manner it illustrates good and bad communication and supports patients taking responsibility for their own personal care, by asking for detailed information in easy to understand language and to engage with your doctor in decisions about your treatment and care. The purpose of this book is to encourage patients to become more assertive in dealing with their physicians; to take charge of their physical and mental health, and; to work in partnership with their doctors. With a cartoon format this little book is packed full of useful and empowering information. It also explores the conflict of interest between drug company sales persons and doctors which drive up the cost of medications. This book would be a great gift for any person who visits a doctor.